Join us as Alan Schlemon from Stand to Reason visits us to talk about several instances where Christianity holds up to scrutiny. Saturday Night Service will be moved to the Sanctuary to allow for extra seating. 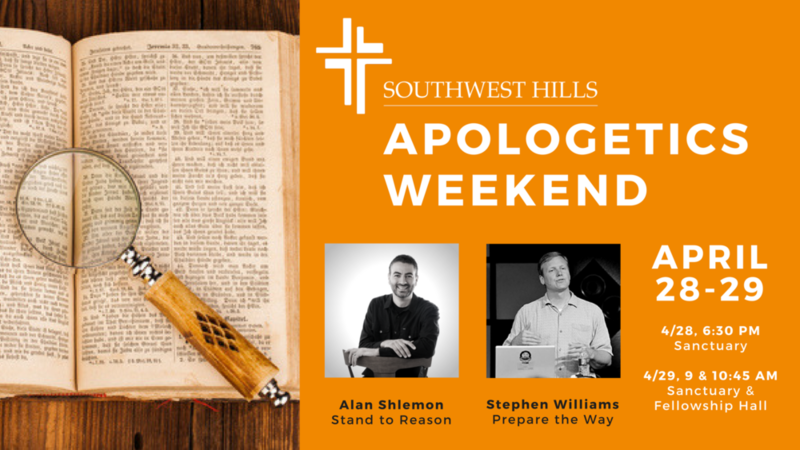 Stephen Williams from Prepare the Way will also be speaking in the Fellowship Hall during our normal 9:00 and 10:45 Sunday morning services to address the issue of Worldview.